Welcome to the A.'. A.'.. You are now part of an exclusive organization that is entitled to initiation into Magick (profound wisdom of live beyond the bounds of scholarly study). You have found the secret school that will give you the initiation that you otherwise cannot have. This means that if your teacher tells you to do something that is ethically wrong or destructive you must do it, or otherwise you will be barred from the order and lose the golden thread of initiation right? ----- Wrong!!! Some people who have their illusions of exclusivity to initiation and the possibility for greatness quit the order once they meet other 'adepts' outside of our school. Then sooner or later they come to regret their decision; they realize that there is something beautiful in the A.'. A.'. and it's structure and it's magickal current, but by the time they have understand their loss it is often too late. They had failed their test of initiation, they weren't honest in their own introspection. My own experience has shown me that since the day we are born that life itself is initiating us. What is life? It is simply being interacting with it's own nothingness: Nuit and Hadit. This interaction is dynamic, disruptive and unstable, hence the aphorism: 'change is stability'. Ra-Hoor-Khuit, the solar god of war in Thelemic mythology is this violent dynamic that is at the heart of all life, all being. To be, means that something contradictory must not be. Hence violence on all levels is inherent to life. That is why when we truly banish in the ceremony of The Star Ruby, we make the signs of NOX, the Night of Pan. Pall is all, he is the archetype of being in itself which is everything and nothing, the cosmic egg. Only when this all being is negated in specific ways can beings per-se manifest and show themselves. So to be is to suffer, but this suffering is truly the echo of pure joy, the joy of being in its totality. The A.'. A.'. 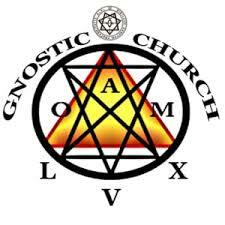 is simply one of many occult schools that uses symbols, mythology, ceremonies and occult exercises to facilitate a conscious initiation. If we are serious aspirants in this order and we don't take the criticisms of our teachers personally, we can succeed in a conscious process of initiation using a mythos, and schema of practices that are in alignment with the current mode of being: the zeitgeist of this point of history. This means that we are using a mythos and symbols that are meaningful to the structures in the human psyche as it exists in the modern/postmodern world that we find ourselves in and offers ways of aligning ourselves with the world around us in ways that are constructive. (Joseph Campbell points out that the older myths, particularly in the biblical tradition are out of date, meaningless and misalign the psyche to the current demands of life as it is Now.) Naturally since I accept Liber Al vel Legis I think Campbell has hit the proverbial nail on the head. And the answer to this challenge is expressed in our work to create an authentic mythos and culture in Thelema that is post Judeo/Christian in nature. So what happens when we sign the oath in the A.'. A.'. then? Well we make an agreement with our own archetypal self, our unconscious and the collective unconscious. In short, we make a covenant with being. We ask and agree that it be tough on us, that it educate us that it cut us no breaks and that we will face whatever comes to us with a straight back. It also means we will be committed to our teachers and to our assigned tasks. But if we break our oath and choose to toy with old sweetnesses, we are in effect making war with our own unconscious and the life force. Still worse, by breaking our own word the forces we have summoned to initiate us move into unconsciousness, which means we will suffer, but a much worse, often fruitless suffering, since it is a suffering without the light that would come from our conscious participation and utilization of the mythological language came that allows us to swim in the sea of consciousness. There are many lineages of the A.'. A.'. and various off shoots of the OTO out there now among other hybrid traditions such as the Thelemic Golden Dawn. While the main focus for this post will be concerned witht the A.'. A. '., much of what I have to say here applies in one degree or another to all of the other organizations. The jist of my thought being that the A.'. A.'. has only one goal as stated by the Master Therion in Liber ABA; namely that the A.'. A.'. is an organization dedicated to the development of genius, and spiritual genious in particular. The whole skeletal structure of this organization and its favor for a degree of anonyminity and the de-emphasis on the social side of things is meant to facillitate this end. Members to not recognize each other officicially within the organization, the official points of social contact are only between teacher and student. The organization as a whole is relatively decentralized, with each lineage ideally under the authority of an Adept, with no one single building or official body claiming a monopoly on the title A.'. A.'. There are many who erroneously look a linial paper trail leading back to Crowley however, and the fallacy of this approach to determining a lineages authenticity becomes apparent when one realizes that you can find failed students who don't do real work or cannot demonstrate real attainments, yet they might have the 'proof'' of lineal descent. Likewise you can find practictioners who stick to the A.'. A.'. 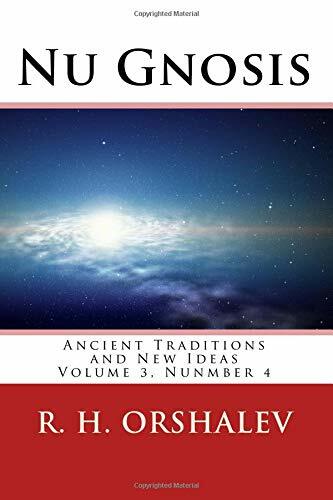 codes and guidelines, perform the practices and have produced original and profound works, which for lack of better terms I will henceforth refer to as new gnosis, or gnostic productions. This latter being really the only sole criterion that we can stick to with any degree of objectivity as proof or doing the work and the achievement of said spiritual developments. 'You will know them by their fruits' we are told. Also we should be skeptical of anyone who seems emotionally unbalanced and even more those who make open claims to adepthood, since the latter goes agains the policy of the A.'. A.'. itself. Public claims to being an adept automatically puts those doubts into claim as in our holy order we are instructed only to reveal our attainment of the more exalted degrees to our direct students who are under our own tutalege. The reason for this policy should be obvious, such claims invite egoism into the aspirant and this egoism destroys any attainment that may or may not have been reached. Furthermore a practicioners motive for attainment should be for their own well being and thus to better serve others as this is the ultimate adoration of Nuit that we are instructed to perform as probationers. Wanting degrees to show off to others comes from a mindset sleep and our degree of sleep is concomitant with our weakness and our lack of attainment. Nuff said! Another criteria for attainment that is harder to agree upon and to verify is the mental and stability of the aspirant. I say this is more difficult to ascertain because of the nature of the ordeals and the fact that not every legitimate aspirant needs to be an adept, so legitimit practicioner at a lower degree of attainment may not necessarily be the acme of emotional and mental stability especially when working out the ordeal which are known for their severity. Yet a rudimentary knowledge of magick, basic courtesy, determination, and reliability should be observed by a Neophyte as the minimum standard since without such conditions being met they should have never made it past being a probationer. I might add that it is possible for an adept to behave in ways that may seem bizzarre or unstable to those who are not in the know, but the real telling point is whether such strange behavior is being consciously chosen by the would adepts genious and if so, it would produce profound reslults in their endeavors, so again the work is the judge here. The qualities of an adept should be dealt with more specifically in another article since there is much to discuss in this regard; however, it should be noted that an adept should display an observable degree of control over his or her tendencies, emotions, thoughts, and behavior. And anyone claiming to be anything from zealator to upward should have a body of magickal workings and reflections (new gnosis) as a token of the work that they have done being part and parcel of their magickal attainment. 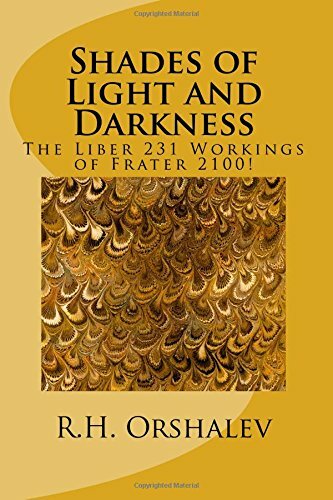 Their work should show authentic and some profound insights into the practices, the astral plane, a personal model of the universe, and most importantly an understanding of one's self and his or her relation to the universe. This really should be the ultimate criteria when deciding on a lineage; that is whether or not they either collectively or individually publish original work. Any lineage that does not is essentially nothing more than a museum that observes tradition and provides people with the A.'. A.'. experience. Such individuals and lineages usually rely heavily on formal proofs, and an aire to authority and pomp only characteristic of such what would sell the king invisible clothes!